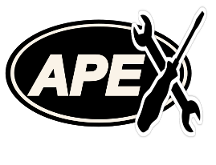 We have provided a list of appliance repair services offered by Apex Appliance Service, to help you find understand our capabilities and confirm that we are the right company to help with your issues. If your particular requirement is not here, please call us on (404) 579-0064 to discuss it, it is most likely that we have not included it because it is a unique or special appliance problem. Does not cycle | Door will not open | Does not spin | Does not drain | Does not get hot | Seems to be blocked | Makes a loud noise | Smells bad. Don't keep going to the cleaners when you have a machine that needs a basic repair. Very often washing machine repairs are simple, quick and cheaper that you may think. We promise to diagnose and provide costs for repairs before carrying them out, so you have the choice before the bill arrives. - Get your 10% Off Washer repairs in Duluth are one of our most popular! It will not start | Clothes do not dry | Makes a loud noise | The door is broken | The dryer needs connecting. A shelf is broken | The light(s) do not work | It's making a loud noise | The door will not shut properly | Food & drink is not cold | It is leaking fluid. It's making a loud noise | It is leaking a fluid | The dispensing unit is not working | The inside is full of ice | There seems to be a smell coming from the Freezer | It's plugged in but not working. It is not powering up | I set the system but it doesn't run | There is a load of water in the bottom | It smells real bad | My dishes are not getting clean | The shelf is broken | The door will not close | The dishes are not as hot as they used to be | I have a leak. The igniter is not working | The gas is not coming out | The flame is really small | The shelf has broken | There is a strange noise coming from the oven | Lots of heat is coming from the door | The fan has stopped working.